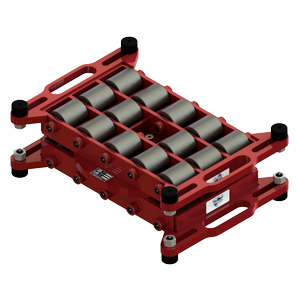 The original House & Building Skate, known by the foremost Professional Structural Movers as X, Y Skates. 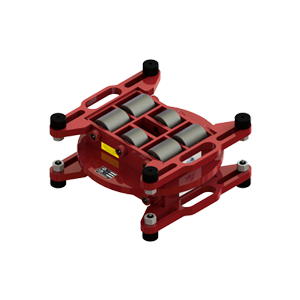 As the industry term suggests, these structural moving skates allow you to move a house or building in any direction on either axis. 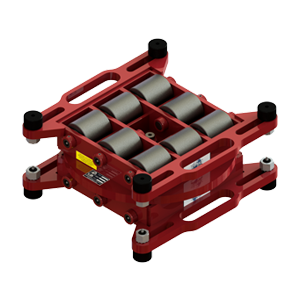 These Skates can also be split into two halves for single axis moving, doubling the standard load rating of the combined unit. Accept no substitutes and get the job right the first time, every time. On October 8th, 2016, a charity Tavern Tug of this historic 150 Ton (300,000 Pounds) tavern was completed by over 200 men, women, and children. With the many decades of expertise of Mel V. and his crew at Badger Contracting, Inc. of Southern Wisconsin (website) in full force, they had already performed the majority of this intense move using his professional moving equipment and Hevi-Haul Skates, which were modified, guided versions of our standard machinery skates. Since the move was local, he called us out and graciously invited us to the job site to witness and record this historic move. The charitable public from all over Southeastern Wisconsin showed up on this crisp fall day to pull the Tavern the last 2 feet of it’s total 25 foot move to it’s final destination, saving this historic building to be enjoyed by it’s owner’s patrons for many years to come. Good times for a good cause.